A few times in your lifetime, you will meet an “Inspiration”. At the finish line in Oregon! 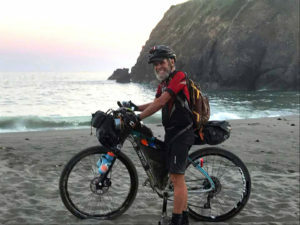 Hal Russell, a retired, 68 year old from Osceola Missouri is “just that” and just finished the toughest bicycle race on the planet – the inaugural “American Trail Race” of 5100+ miles of unsupported “by yourself”, all back county travel in the Outback of the USA from North Carolina to Oregon, including some of the most dry and desolate lands and the highest mountain passes in our nation. Hal was one of 12 that started and of the 8 that finished. The trip took 63 days to complete! That’s right, 63 days in the saddle. My son, a close friend and I met Hal in Silverton Colorado as he was passing through on July 6th. He had just descended from Cinnamon Pass at 12640′. Within 5 minutes of conversation, it was clear that Hal was inspiring. We invited Hal to share dinner and the inspiration really took hold – not a complaint, not a negative comment, only I will finish, that was fun, the people are great, this is an adventure and “thank you”, especially when I dug a “Choco Taco” icecream bar out of the freezer. I will never forget how his eyes lit up when he saw that! 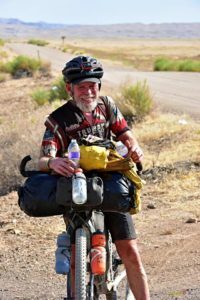 Hal also shared his time in the Vietnam War and how his cycling helps him deal with that horrible experience. A few days later, we caught up with Hal again near Green River, UT in a dry, desolate desert region far, far different than the alpine splendor of the San Juan Mountains in Colorado. 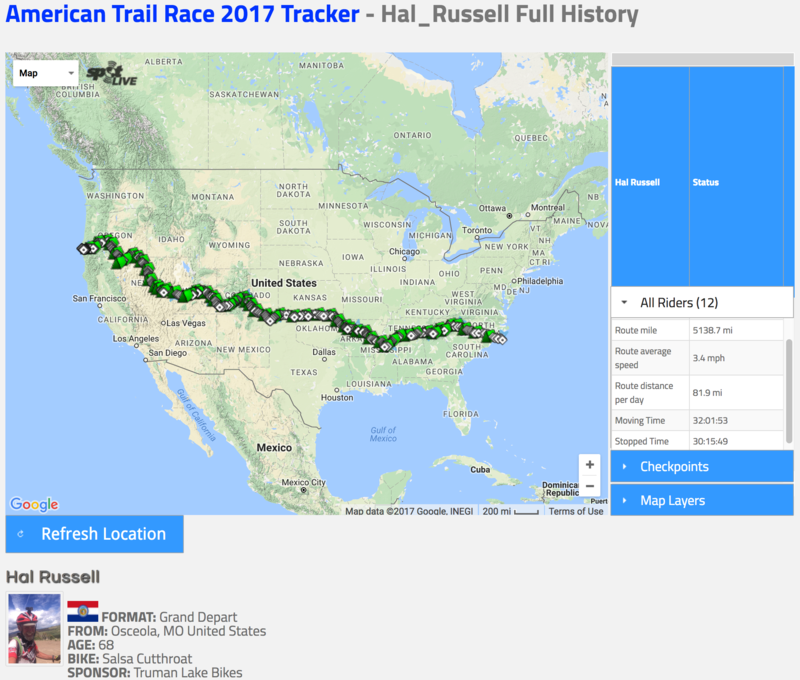 Hal was low on water and 12 miles from Green River. We had plenty of water and two big PayDay candy bars, his favorite trail fuel. 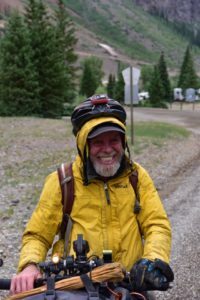 Hal “kept on” into Green River and of course the rest of the entire route where he experienced incredibly wild weather conditions (see below) that are beyond anything I could have imagined. 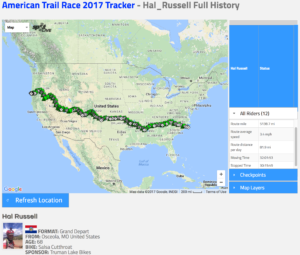 Congratulations Hal Russell! You are an incredible inspiration for this 61 year old and also for my 16 year old son. We will both be talking about you tomorrow morning as we pursue our increased fitness goals because of you! I will also make it a point to see you on the trail again next year somewhere in the mountains of Colorado. And lastly, you have planted a seed. Just maybe, maybe I could do one of the shorter races. It is a new goal. Thank you!